Thibaut Courtois has labelled Eden Hazard as one of the "best players in the world" and would like the Chelsea forward to join him at Real Madrid. Hazard's contract at Chelsea expires at the end of next season and he is yet to sign terms on an extension. 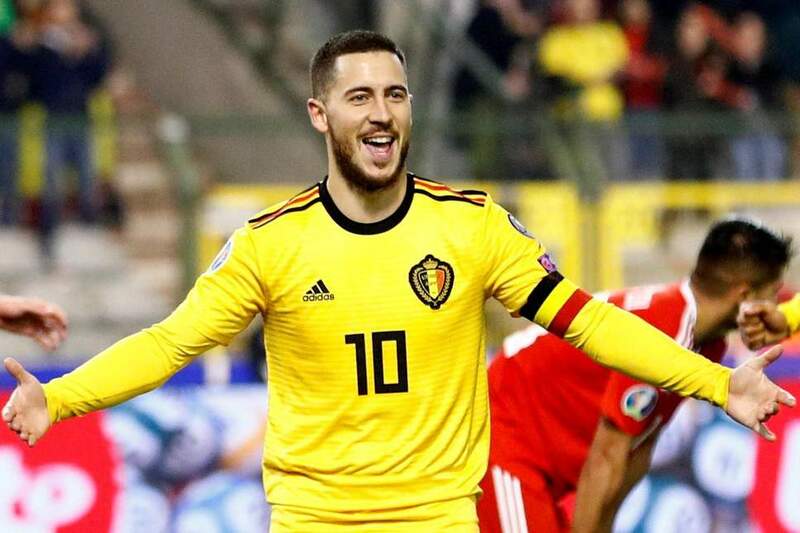 Earlier this week, the Belgium captain denied reports he had agreed a five-year deal with Madrid ahead of a summer move to the Bernabeu. Courtois told Spanish radio station Onda Cero: "I don't know if he is going to sign for Real Madrid, nor do I know if the club want him. "For me, he is a great player, but I don't decide those things. "Each one decides what he does with his life. For me, he is one of the best in the world and as a friend I would like him to be here."